Just as your personal financial plan needs to be coordinated and kept up to date to achieve your goals and dreams, so does the financial plan for your business. The unfortunate reality is that many business owners do not have an adequate, fully coordinated financial plan in place, and if there is a financial plan in place, it is often not reviewed regularly to ensure that the plan is changing as the needs of the business evolve. 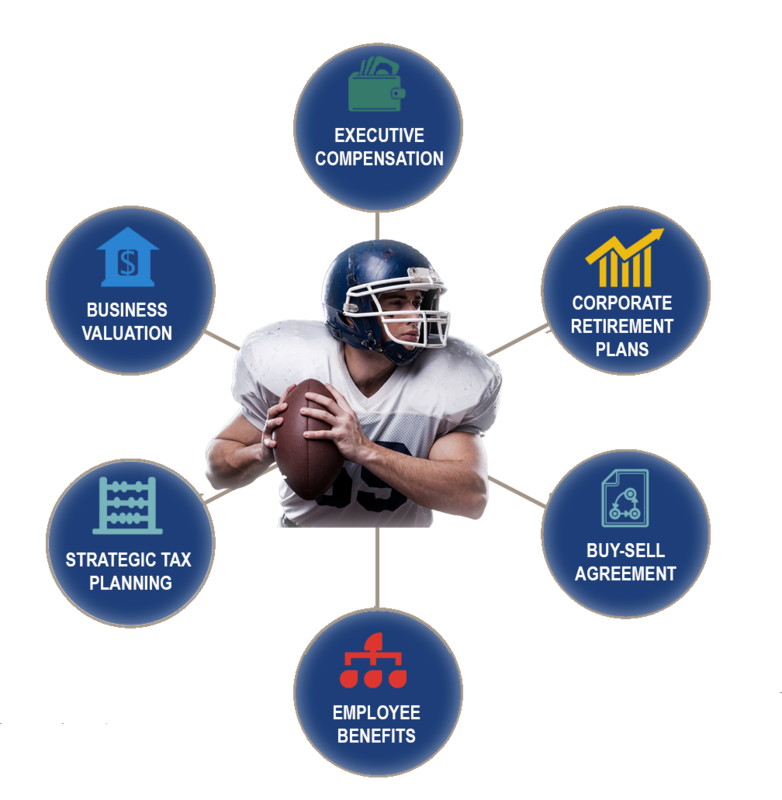 As it does with consumers, the Lineweaver WealthWatch Center offers 6 fully integrated financial planning services (see below) for a wide variety of businesses. The Lineweaver Group can plan and execute, implement, monitor and update your entire plan with the assistance of its in-house WealthWatch financial, tax, legal, and insurance specialists. Alternatively, LFG can seamlessly team with a company’s existing advisors and professionals to identify objective, cost-effective solutions to fill current and anticipated needs. Have you taken the time to explore a diverse set of strategies to properly manage taxes? Are you taking full advantage of executive compensation plans and are they structured properly to encourage management continuity? Do corporate retirement plans offer maximum allowable benefits for executives and key employees without excessive management fees and plan maintenance costs? Are employee benefit programs up-to-date and do they create employee loyalty? Are there properly structured buy-sell agreements in place with an up to date exit strategy? What’s your business worth in real terms?